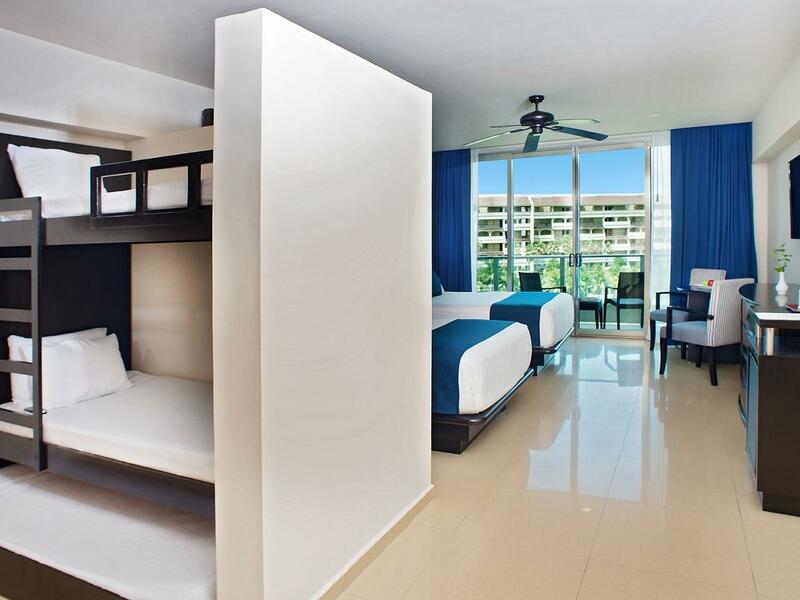 Seadust Cancun Family Resort is located on the enviable white sandy beaches of the Cancun hotel zone. Its impressive views of the characteristic turquoise sea and the Nichupté lagoon create the sensation of sailing on a cruise ship by being completely surrounded by crystalline waters. 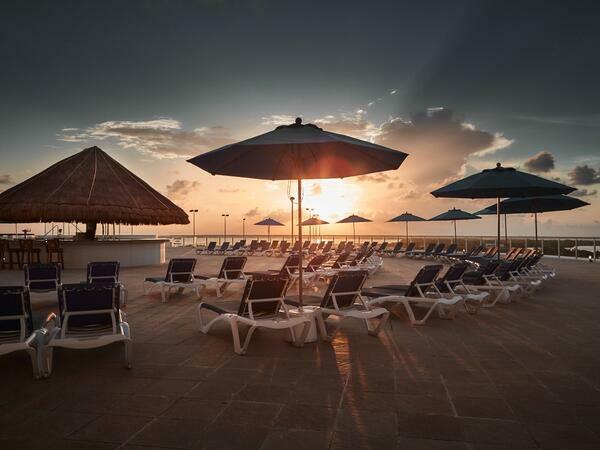 Discover the elegance of this charming all-inclusive resort wrapped by the beauty of the Mexican Caribbean. Savor the exquisite cuisine of its fantastic and varied restaurants. Enjoy with your children many fun-filled activities and relax in the spacious and recently renovated suites. Designed with the word comfort in mind, our Luxury Suites offer a redefined beachfront vacation experience. In our Family Suite, you will start your day with a home-like atmosphere. This room will provide space and comfort to each member of your family. Create new memories during your stay by exploring the turquoise waters and beautiful beaches, take a dip in one of our ocean-view pools, and let your kids have fun flying down the water slides at Treasure Island, the hotel’s exciting water park. Allow the expert staff of Seadust Elegance Spa to indulge you with a massage near the sea, in our unique cabins or with a couple’s treatment. 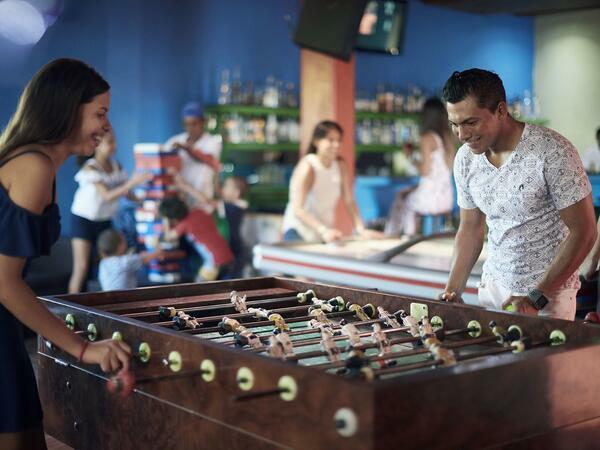 Whether you seek tranquility or unlimited fun, here you will find everything you need for the very best vacation. At dusk, experience from your balcony the clouds coloring the sky with pastel shades, and later venture out to enjoy the hotel's vibrant nightlife. 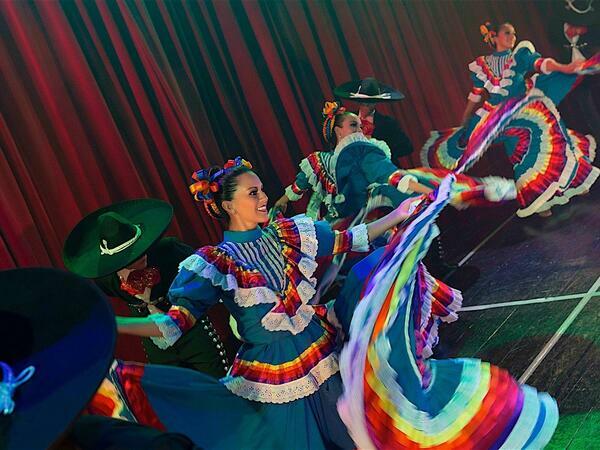 Our eight specialty restaurants, eleven bars —including a fantasy casino and a fun nightclub with karaoke—, and a theater with spectacular staging, await you to end your day in style. All entertainment is included during your stay. The fun never stops! 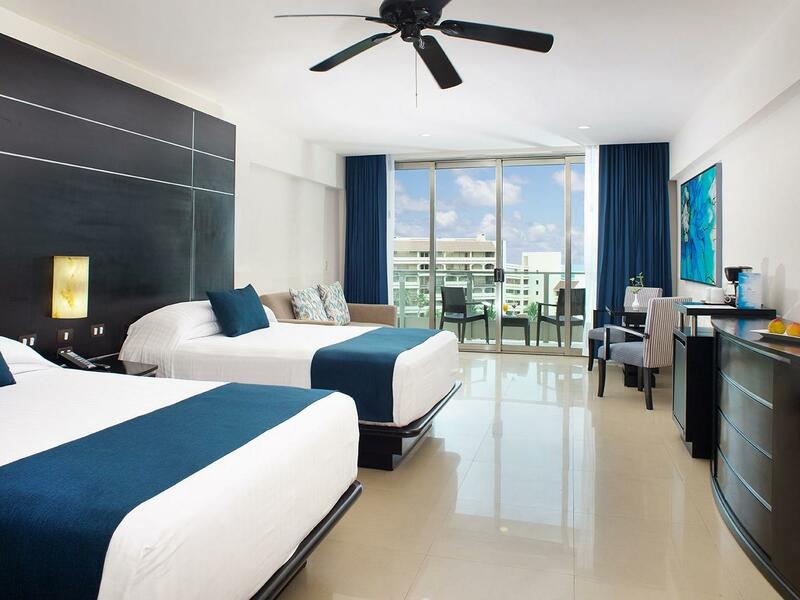 Seadust Cancun Family Resort offers you Resort Credit to complement the fun during your stay, which is complimentary when booking any of our rooms. These coupons can be applied to different services such as massages or treatments at the Seadust Elegance Spa, or for a romantic dinner at the Splash Bar's Deck. It is also possible to use them to order lobster in the Lighthouse restaurant, or for one of the distinguished wine labels in any of our specialty restaurants. In addition, you could get discounts on photo packages for the whole family, on car rentals, on the "interaction with dolphins" activity, or for our seven-hour tour around the Riviera Maya. 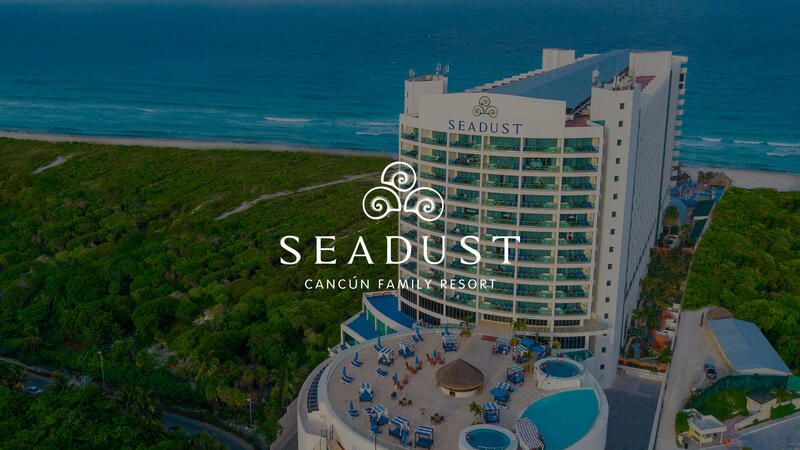 Only at Seadust Cancun Family Resort will your vacations be truly unforgettable.